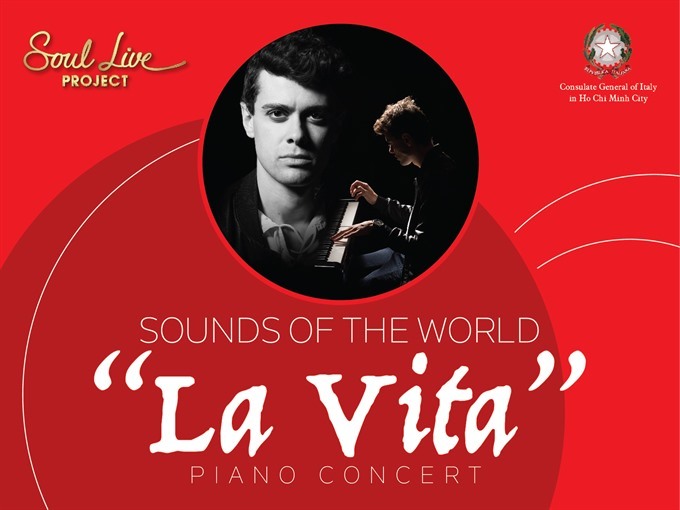 The General Consulate of Italy in HCM City and Soul Live Project will present a performance of young Italian pianist and composer Alessandro Martire at Soul Convention Complex on April 20. Born in 1992, Martire studied piano and composition at the Music Academy Genoa and with Italian pianist and composer Giusto Franco, and then continued his study at the Berklee College of Music in Boston in the US. He has performed his original music at prestigious universities and theatres around the world, including Hong Kong University of Science and Technology, Sewon University in South Korea, Bocconi University in Italy, and New Musical Art Philharmonic Hall in Russia. He has written soundtracks for films, short films and commercials, and his compositions have won top prizes at international contests such as the National Competition of piano composition in Savona, Italy.